Home VB STARS Banks Must Have a Social Media Presence. Period. In his first guest post, Jose Antonio Gallego explains why banks must have a social media presence and advises financial institutions to find some inspiration in the digital engagement strategy of one of the world’s most well-known authors. On 4th February 2012, we turned 5 on that date, I announced the imminent launch of the ‘Visible Banking Stars‘ programme and the total redesign of Visible-Banking.com. After William Trout from BBVA Compass (US) and Daniel Gusev from PSBank (Russia), I am delighted to officially announce our Visible Banking Star number 3, Jose Antonio Gallego – Social Media Manager at BBVA (Spain). I’ve known Jose Antonio for quite some time now, and I very much look forward to reading his exclusive articles on Visible Banking. I invite you to read his very first contribution, translated from Spanish to English, ‘Banks must have a social media presence’. In the last few years, I have covered many social media initiatives from Jose Antonio and his colleagues at BBVA in Spain, such as the bank’s crowdfunding’s experiments ‘BBVA Friends and Family‘ and ‘BBVA Suma‘. I invite you to watch my oldishn but still relevant, video interview with Jose Antonio. 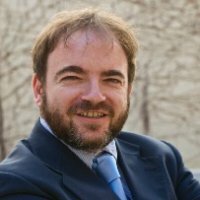 Please find below Jose Antonio’s first official contribution (in Spanish) on the Visible Banking blog. Consider this list of the world’s largest banks in 2008 by market capitalization. Now compare it with the current 2012 list. In these four years the growth of social networking users has been exponential, from being a phenomenon of “early adopters” to something massive and totally mainstream. However, if we observe the changes at the world’s largest banks in these four years, we see little -if nothing at all- influence of social media. Yes one can point out the political and economic changes and the global crisis, which have increased the influence of China and Brazil against Europe. Extending the scope: of the 100 largest companies in the world, very few made the Top 100 thanks to social media. Let me be more specific. If a company anywhere in the world has suffered a crisis in the social media space that is Nestlé, through the great campaign launched by Greenpeace in 2010 against its flagship product, KitKat bars. The company was completely overwhelmed at the impact and the virality of the video. But, to what extent this campaign was a real problem for Nestlé? Not that this campaign had no influence on his financial results and P&L, it certainly had a negative impact, but it has not stopped the company from being the most profitable company in the world in 2011. Therefore, one has to weigh the influence of this social media campaign. It is important to remember that social media channels created by the users, for the users, have their own set of rules, and advertising there is hardly accepted or simply ignored. Previous articleBanques et Réseaux Sociaux: Pas Assez de Convergence? Next articleSocial Customer Care: No Way Back. Pandora’s Box is Open.